Give your flyers room to make a maximum impact! We’ll provide the holders – designed by you with the aid of our easy-to-use templates, then professionally printed by us to make the best possible impression. The best way to distribute flyers containing information on your offering for the current season, honeymoon trips, tips on outings in the region or anything else is in suitable holders. 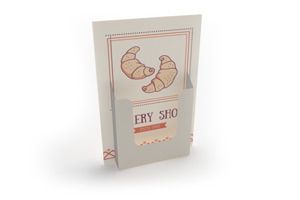 They allow you to strategically position your leaflets at cash registers or receptions or on counters or bars. To make sure your flyer holders are sturdy and stable, we print them on 300gsm matt art paper or uncoated 400gsm natural paper. If you want particularly vivid pictures, the first is best; if you’re a nature lover, go for the second. You choose the look and theme for your holders, which can of course be used not only for flyers but also for cards, pamphlets and brochures. We print them on one or both sides in full colour with final trimmed dimensions of 13.7 x 23cm. To make sure that the colours last as long as possible, we die cut the blank and score the edges before folding. This is service that our customers appreciate. If you operate multiple branches or own a number of establishments, 50 holders won’t cut it. It’s better to order large quantities of a thousand. But we can also print 100, 250 or 500 flyer holders and deliver them within seven working days. As always, at no extra charge. Because we including shipping in the price. 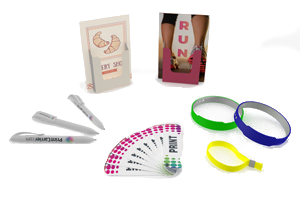 We invest all of our energy to make sure that you are happy with our holders for your pamphlets, flyers or cards. 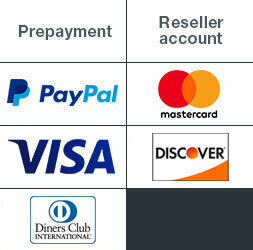 In case it ever falls out short of the 100% we aim for, as a first-time customer you receive a full refund. And on subsequent orders, we offer you a solution that’s sure to restore your confidence in us.